Be the first to own the BWF first t-shirt drop. 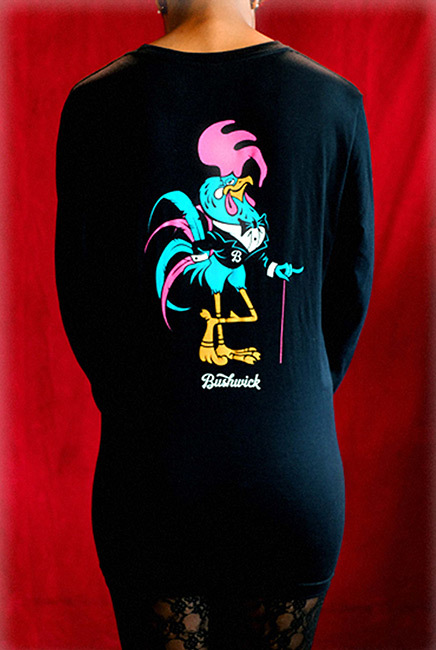 This long sleeve tee has the classic Bunton’s logo on the front, and the beloved Bunton’s Rooster on the back. Plus with a sleeve hit the says “World Famous”, you can let everyone know who you are.